Heads: Save your money on your plastic head – the differences are small and will have little impact on your play. Shafts: Middle price range is best – low cost are the most heavy and can bend after a wicked check - most expensive are light and strong (think titanium). 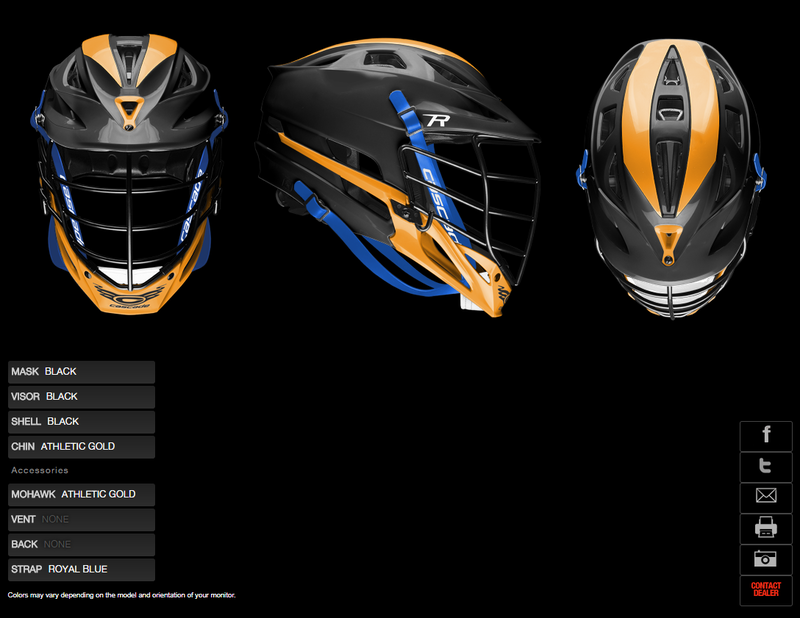 Buy in Tahoma colors (Black, Royal, Gold) to look more custom. Pocket Mesh: Request hard mesh. Stay away from soft it won’t hold your pocket in the rain. Mesh comes in lots of colors - trick your pocket out with royal, gold, black and white to look like a true Bear. Helmet: Chin pad and chin strap are required for all ages. NOTE: Helmet policy for all high school teams. The detailed specifications for the model can be found here. We will have this helmet model for the years to come until we have to transition to another model (this is how many teams do it) Bottom line; buying this helmet will last through your high school career. Total Sports in Buckley carries our helmets or you can obtain online from Cascade Lacrosse. For our youth players, we require an "All black" helmet. If your player is a 7/8 and needing a new helmet, we'd recommend moving to the High School helmet now. Gloves: Typically in three sizes (10 / 12 / 13). Rule of thumb - the older the player, the harder the hits, the more protection required for the hands. Shoulder pads: Good snug fit. Buy a pair that extend down over the chest as much as possible to protect against errant shots or checks. Arm pads: Wrists and arms take a beating but are easily protected with good pads. Defenders can typically wear smaller arm pads. Moderately priced pads can be bought in a package and provide good protection and mobility. Cleats: Rubber sole cleats (soccer/football cleats are fine). We often will play on artificial turf fields, but traditional cleats will work on turf and grass. Tennis/street/skate shoes will not work. Socks: Team socks will be available for purchase online. Otherwise, players should wear a comfortable sock with dri-fit technology that will help keep their feet dry. Crew style are recommended. Goalies: Goalie equipment (includes stick, chest pad, helmet and throat protector). Rib pads: Personal choice – they can be bulky but protects ribs and mid-section especially for attack. Goalies: Padded protective pants worn under lacrosse shorts are a good addition. Shin guards can also be worn but are a matter of personal choice. Equipment bag: Doesn’t have to be a big one which is a pain to carry - just something to keep all your equipment together. Equipment is required at every practice & game! Site Under Construction - details coming soon!